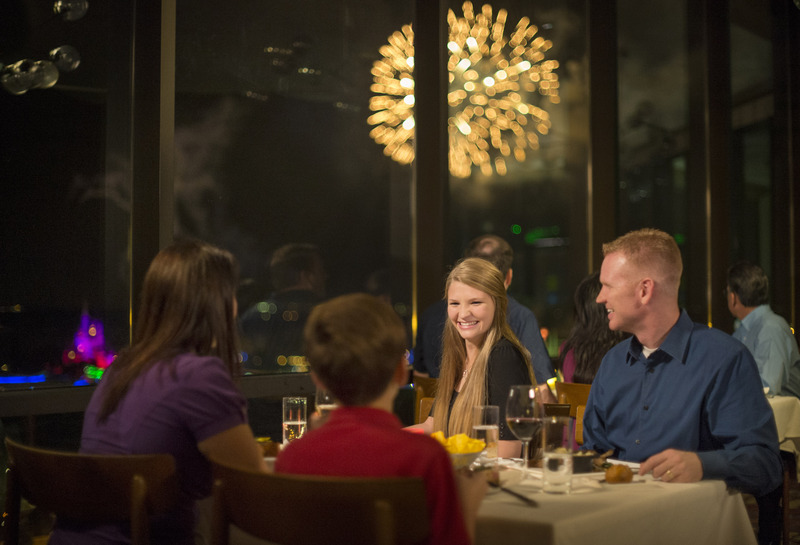 Signature Dining restaurants are those fine dining experiences offered throughout the Walt Disney World Resort. These Signature Restaurants take two (2) table-service dining credits per person if you are using the Disney Dining Plan (DDP) and IF the restaurant accepts the DDP. The Dress Code for Signature Dining is Resort Casual. Men may wear khakis, slacks, jeans or dress shorts and collared shirts. Sport coats are optional. Women may wear Capri pants, skirts, dresses, jeans or dress shorts. Not permitted are tank tops, swimsuits, swimsuit cover-ups, hats for gentlemen, cut-offs, torn clothing and t-shirts with offensive language and/or graphics.